What’s the status of Pulte townhouse projects in the Charlotte area? Pulte is developing a 61-homesite community across South Boulevard and the Lynx Blue Line Scaleybark Station on Belton Street. 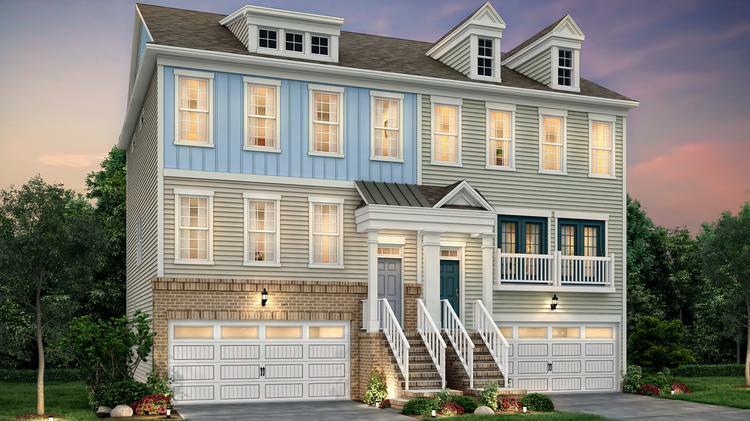 Like most other home builders active in the Queen City, Atlanta-based Pulte Group Inc. (NYSE: PHM) is full-steam ahead on townhouse development in Charlotte. Pulte has a number of for-sale residential projects underway in the city, including two communities in close proximity to one another in lower South End — South Village, the townhouse component of Pappas Properties’ larger mixed-use development, and Belton, a 61-homesite community across South Boulevard and the Scaleybark Station on the Lynx Blue Line. Additionally, Pulte is developing a townhouse project in the Belmont community called Central Point, at the intersection of 10th Street and Seigle Avenue. South Village, which is now about 50% sold, is moving ahead on the second phase, according to Pulte. Belton is under development and features home designs called duets, which start at 2,275 square feet and include three or four bedrooms, three-and-a-half bathrooms, a two-car garage and a fourth floor with flex space. Those homes, starting at $435,000, will be developed on lots that Pulte acquired several months ago and is one of a few projects apparently pegged for the street. Infill developer Beauxwright previously filed plans with the city to develop duplex and single-unit multifamily residential. Valerie Dolenga, a spokeswoman for Pulte, said that residents are expected to move into South Village starting next month, to Belton starting in March and to Central Point by potentially the fall, with sales at that community beginning this summer. Jon Cherry, division president of PulteGroup in Charlotte, previously told the Charlotte Business Journal that Central Point will include more than 100 three- and four-story townhouses starting at 1,800 square feet. South Village starts at $394,990 and includes three- and four-story townhouses measuring 1,773 square feet. According to Metrostudy data, townhouse starts are climbing again in the Charlotte metro area following a post-recession slowdown, though there was a slight dip in 2017 compared to 2016. Annual townhouse starts in 2017 saw a 4.4% decrease from the year before but closings increased 23.3% from the year prior. A little more than 460 townhouse starts occurred in the fourth quarter of 2017. In total, 1,797 lots delivered in 2017, an increase of 21.9% from the year before, according to Metrostudy. The original story first appeared on Charlotte Business Journal on February 13th, 2018 by Ashley Fahey.